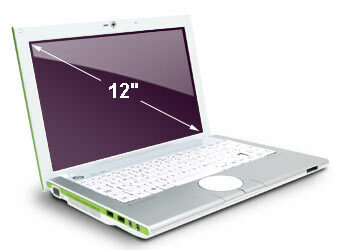 an exclusive sparkling white colour scheme for its laptops. Three existing Packard Bell laptops – Packard Bell EasyNote BG, Packard Bell EasyNote MB and Packard Bell EasyNote SB – will be available in sparkling white with intense colour highlights. design-conscious, tech chic notebook users. Based in the world’s fashion capital and under the leadership of design manager Adrien Camp, the Packard Bell Studio was inspired by the Peclers Trend Books. Published by Peclers Paris, a world-renown trendspotting agency, these books are used as creative “5-starters” by the fashion and design industries. says Adrien Camp, design manager, Packard Bell. design are just as important as performance and features when choosing a laptop. Packard Bell’s focus on design and innovation were rewarded recently when the company won two important prizes: the prestigious French Janus design award for 2007 and the European Plus X award for “most innovative brand” in the IT category. 15.4” MB series and dark chocolate for the 17-inch SB series. The three limited edition notebooks offer the same uncompromising set of features as their glossy black counterparts. All three are powered by Intel® Core™ 2 Duo processors and come with built-in Wi-Fi and webcams. The EasyNote MB and SB series are available with Blu-Ray optical drives, high end graphics (up to NVIDIA GeForce 8600 M GT with 512MB dedicated) for visually intensive applications like gaming, and the latest interfaces, including DVI, HDMI and eSATA.